Abby Haggard (‘22) was thirteen years old when she came to Concordia University Ann Arbor for the first time. Last week, 34 students and staff from Concordia University Ann Arbor joined with 25 students from the Mequon campus for spring break mission trips to New Orleans, Louisiana and San Raymundo, Guatemala. 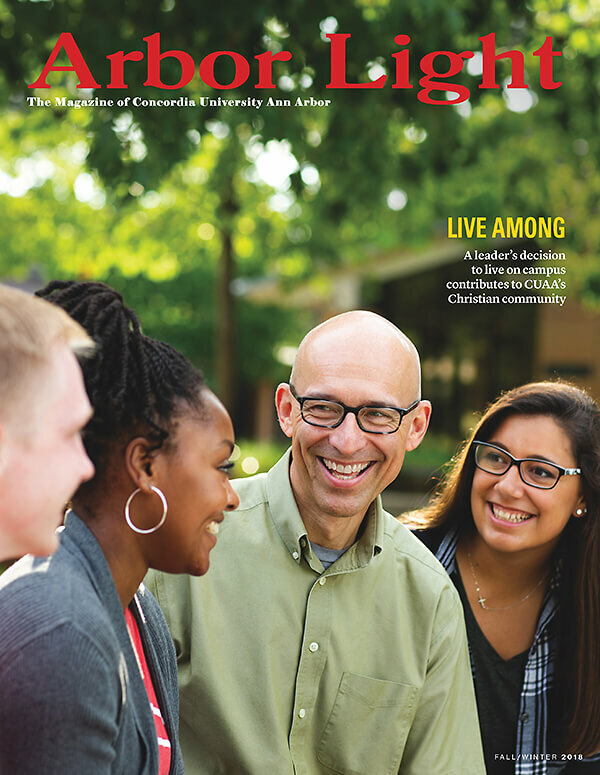 The latest issue of the Arbor Light features stories about Concordia’s “mind, body, and spirit” approach to future first responders’ mental health, a campus leader’s decision to make his home on campus in order to offer dignity to CUAA students, and the festive traditions that make up Concordia’s unique celebration of Christ’s birth.